Recent examples include Henci Goer thoroughly misrepresenting the Friedman Curve while simultaneously illustrating her lack of knowledge of the most basic statistical concepts (Anatomy of a natural childbirth smear), Amy Romano demonstrating a total lack of understanding of both pelvic trauma and basic research (How Lamaze promotes misinformation), and Rixa Freeze, gleefully transmitting what was obviously false information without bothering to source it or check its accuracy (Birth of a natural childbirth lie). But when it comes to misinformation, no one can hold a candle to self proclaimed midwife Ina May Gaskin. Ina May just makes it up as she goes along. … Pregnant and birthing mothers are elemental forces, in the same sense that gravity, thunderstorms, earthquakes, and hurricanes are elemental forces. In order to understand the laws of their energy flow, you have to love and respect them for their magnificence at the same time that you study them with the accuracy of a true scientist. The invocation of mysterious forces, “energy flow” and intentional biologic processes marks her as a garden variety quack. Yet natural childbirth and homebirth advocates continue to believe her anyway. An article in today’s Guardian, I was pregnant for 10 months, by Viv Groskop, is typical of the junk that emanates from Ina May, and broadcast far and wide. The author of the article went 20 days postdates before giving in to her doctor’s plea to be induced. The author is proud that her baby did not die, and thinks this means something. Of course that’s like refusing to belt your child into the car and then declaring proudly that the baby survived the trip to the grocery store intact. It demonstrates the classic NCB ignorance of relative risk. In their minds, every risk is either 0% or 100%. So if their child survives their foolishness, they think they have “proven” that the risk does not exist. Having failed to kill her own baby, the author wonders whether induction for postdates is unnecessary. The US midwifery guru Ina May Gaskin thinks so. She believes that every baby will come in its own time, and she is currently campaigning for 43 weeks – rather than 42 – as the definition of “late”. The dates in themselves, says Gaskin, do not indicate the need for induction. Ina May’s claim reflects both a lack of basic knowledge (why 40 weeks is considered the standard length of pregnancy) and a touching though deadly naivete that insists that changing the definition of a phenomenon will change its outcome. Naegle’s rule on length of pregnancy dates back to the 1800’s. We lack evidence on what happens after 42 weeks since few women go beyond. The claim that stillbirth risk doubles is based on data from 1958. Ina May and her acolytes clearly don’t bother with the scientific literature. If they did, they would know that the US looks at the data each and every year and publishes an elaborate (and free) analysis of it. The most recent analysis comes from 2005, not 1958. 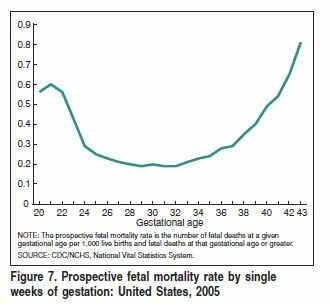 It’s entitled Fetal and perinatal mortality, United States, 2005 by MacDorman et al. It contains two rather compelling graphs. The first plots stillbirths against gestational age. As you can see, the stillbirth rate actually begins to rise at 36 weeks. At that point, the risks associated with early delivery outweigh the risk of stillbirth. The stillbirth rate continues to rise after 40 weeks, and begins to rise precipitously even before 42 weeks. So much for the claim that the current recommendations are based on data that is more than 50 years old. Ina May’s accolyte complains that the induction rate has been rising each and every year. That’s true in the UK and that’s true in the US. But look what has happened during the same period of time. The graph shows that the stillbirth rate has dropped each and every year, but not all stillbirths, only late stillbirths. The fetal mortality rate for 28 weeks of gestation or more declined by 29% from 1990–2003, but did not decline significantly from 2003–2005. In contrast, the fetal mortality rate for 20–27 weeks of gestation has changed little since 1990. 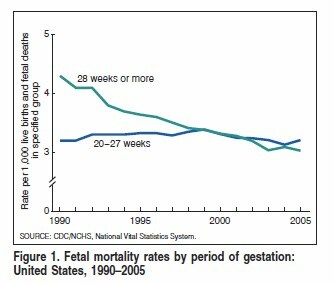 Thus, nearly all the decline in fetal mortality from 1990 to 2003 was among fetal deaths of 28 weeks of gestation or more. The increased rate of induction has been accompanied by a decrease in late stillbirths. This is the reason why inductions are recommended. They successfully do what they are intended to do. The piece in the Guardian is a classic of natural childbirth advocacy. A layperson cheerfully transmits absolute garbage from a celebrity natural childbirth advocate who made it all up. That’s what happens when “educated” natural childbirth advocates “educate” each other. This is all very childish. I thought a so-called professional would actually have a professional approach. There is no denying the evidence that labour inductions increase the risk of a cascade of other non-natural interferences which put both the mother and baby at risk. These risks could be averted by allowing the mother to go into labour when her body is ready. Labour inductions should only ever be performed when the risk of continuing pregnancy outweighs the risk of induction. That’s why after 41 weeks of pregnancy the hospital keeps an eye on you and the baby with various scans and tests. If all is well, there is no medical need to interfere. The US is one of only 8 countries where there has been a rise in the rate of maternal mortality in pregnancy and childbirth. The US is a first-world country which seems to pride itself on it’s ability to medically interfere with the natural and supposedly produce more favourable outcomes for mothers and babies. For such an induction-happy country, how can you explain the rise in maternal deaths? And don’t ask me to cite my sources – you know them as well as I do. A simple google search and scholarly article perusal, not to mention the freely available online government statistics are all at your fingertips. mother and baby at risk. At risk of what? Prolonged pregnancies increase the risk of stillbirth. Induction may (or may not*) increase the risk of c-section. Live baby by c-section, dead baby by spontaneous vaginal delivery. Hmm…which should I pick? *Or may not. Consider this trial. It is massively underpowered to detect differences in neonatal mortality but is powered reasonably for detecting increased risk of c-section and got…nothing. And don’t ask me to cite my sources – you know them as well as I do. No, not really. I have no idea what woo you are using to justify your statements. Which makes it all the more pathetic and ridiculous that you refuse to even try to document your statements. It truly is not that hard. If you’re actually basing them on real data, that is. Because I have time to waste this morning. I made a quick search for ‘maternal death rate increase’ Everything I found points to the same thing: Maternal death rate increased in the USA because of the increasing rates of obesity, diabetes and hypertension and other kind of risk factors (Which raises the risk of pregnancy). Unproper pre-natal care (because the USA still doesn’t have universal health care) and older mother giving birth. They do mention the higher number of c-section, we all know and agree that c-section usually have slightly more risk to the mother (but is safer for the baby) But the number of c-section is also raising for all the reasons stated above. They way they record deaths have also changed and death during childbirth is also better identified, which will artificially raise the number. See, not very difficult to understand why the death rate went up. There isn’t an epidemic of pregnant mother killed by induction happy OBs. The population or pregnant women is just changing and is more and more at risk for complications, which we are now better equipped to properly identify and report. 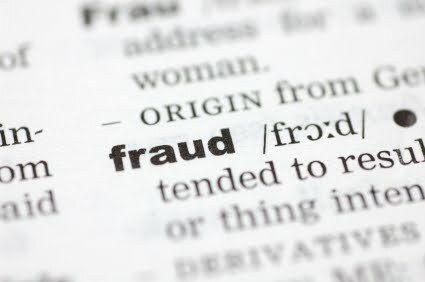 Tuteur is not a researcher, she’s not currently affiliated with any medical institution, and more importantly, she’s never published any of her kitchen-table calculations on the risks of home birth in any peer-reviewed journal. Yet she presents herself with the authority of a CDC epidemiologist when she writes, “Homebirth increases the risk of neonatal death. All the existing scientific evidence says so.” Tuteur let her medical license lapse in 2003 and created the blog Home Birth Debate in 2006, which she used to advocate for her position. And yet, I was invited to speak on the subject of homebirth by the American College of Obstetrics and Gynecology. If they recognize me as an expert on the topic, you have no excuse to do otherwise. Are you Jennifer Block? If not, you really ought to cite your sources. Also, Ginni, even though I didn’t find where you posted this comment earlier, I am fairly sure that our host Dr Amy does not appreciate sockpuppets. It’s also the same quote from the profanity fanatic from the other day. It’s getting old people and really has no bearing on whether home birth is safe or not. Bombshell, I thought that might be where I’d seen it, but I clearly did not wade through enough of her comments this afternoon (it got tedious). I suspect we won’t see “Ginni” again, but we *will * see the same comment (rewording one of Block’s sentences, cobbled together with directly lifting a later passage from the same article) – a la certain anti-vaccine folks who repost the same set of comments (complete with links) over and over again at any opportunity. It’s the same crap, different day. I had remembered it only because she referred to Dr Amy as “our leader”. I guess I am pretty stupid and gullible, since I believe an OB is the correct professional to speak to the safety of births in various settings, not an epidemiologist with the CDC. Looking back at the comments from V M (as V m returns), she did actually quote the articles and link them at the end of the comment. I thought I had seen another comment identical to the cobbling together above by “Ginni” now, on another necromanced post, but I may be mistaken about that. Note to “Ginni” – you still need attribution when you quote others.